Mercedes team boss Toto Wolff admitted that Valtteri Bottas contributed to his team-mate Lewis Hamilton's triumph in the Hungarian Grand Prix with holding up the Ferraris. 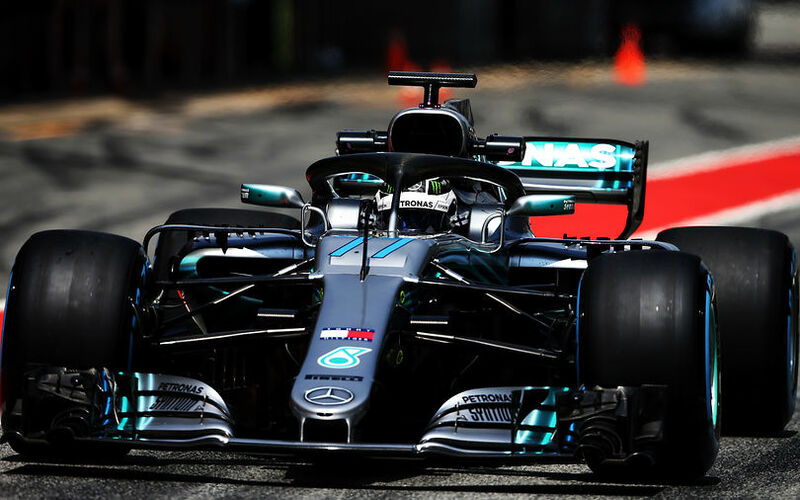 In terms of pace, Mercedes team was playing only second-fiddle to its closest rival Ferrari in the free practices for the Hungarian GP until heavy rain showers hit the track in the crucial qualifying session which favoured the Anglo-German team. In damp conditions, Mercedes managed to lock out the front row with Lewis Hamilton starting from the pole position. Fearing from Ferrari's pace advantage, Mercedes asked Bottas to hold the Ferraris of Sebastian Vettel and Kimi Räikkönen up which enabled Hamilton to build up a healthy gap. This, then, covered any strategy moves from Ferrari and also allowed Hamilton to manage his tyre temperatures after Friday's long run overheating problems. Mercedes team boss Toto Wolff used the ’wingman’ description while praising the Finnish driver for driving second behind Lewis Hamilton in the early part of the Hungarian GP. "But, are you saying maybe the word wing man doesn't do him justice? He just drove a sensational race and helped Lewis, in a way, to build the lead." Under helping Lewis, Wolff means that Bottas formed a train early on in the race to enable his team-mate to rush into the distance and make it impossible for the Ferrari drivers to catch him later on regardless the strategy. However, the Austrian said that the 'wingman' only applies to this particular race as Hamilton and Bottas are free to fight in other races. This comment comes just after the German GP where Bottas was told not to attack his team-mate in the dying minutes of the race. "We have no number 1 and number 2. I was just talking about his race." The three-time GP winner Finnish driver reacted angrily to the suggestions that he is Hamilton's 'wingman', but he then hit reverse gear, believing that he is treated equally to Hamilton. "I was disappointed with my result and saw everything in a negative way for a moment. I know what he meant. We are on equal terms and I trust the team 100pc on that," concluded Bottas.